Aggressive interactions between animals often take place in a social environment. Third parties not involved in those interactions, bystanders, have the opportunity to extract information from such interactions and such information may direct their future behaviour towards the interactants. Studies of fish and songbirds have shown that individuals are capable of extracting information in this way. In songbirds, acoustic playback affords a degree of control that allows the nature of information extracted from interactions to be more easily determined; studies of fish have relied upon naturally occurring differences between observed interactants and have therefore lacked this degree of control. 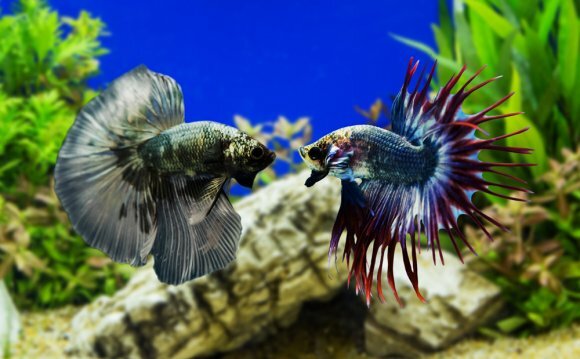 We allowed bystanding male fighting fish to observe two male conspecifics that appeared to be interacting, but in reality the two males were displaying to mirrors. The apparent interactions were manipulated so as to increase or decrease the aggression of one ‘interactant’ while leaving that of the other male constant. When subsequently introduced to the ‘interactants’ individually, bystanders responded more strongly to males whose opponents' aggression had been decreased and to the winners of control trials, but failed to distinguish winners from losers when the aggression of one male was increased. Analysis of the behaviour of ‘interactants’ suggests that bystanders either cannot or do not distinguish between winners and losers when the overall level of direct aggression in interactions is high. Our result may explain why individuals are often observed to escalate fights even though other predictors of outcome show that they will not be successful.